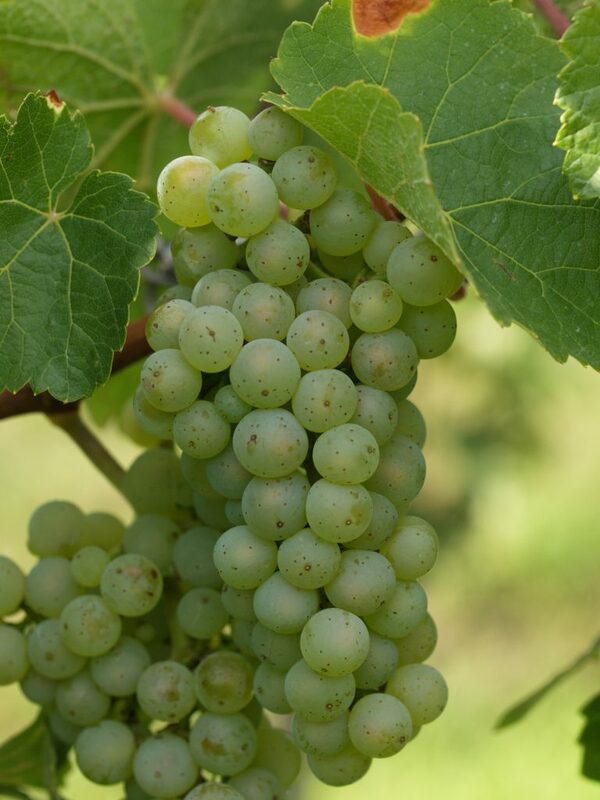 The Müller-Thurgau, or Rivaner, is the second most widely planted grape in Germany and accounts for about a fifth of the total vineyard area. It is named after Professor Müller of Thurgau, Switzerland, who created it in 1882, by crossing Riesling and Gutedel — not, as previously assumed, Riesling and Silvaner. It yields about 30% more than Riesling and ripens earlier, usually in the latter part of September. While it requires less sun and makes few demands of the climate, it does need more rain than Riesling, as well as soil with good drainage. Its wines are generally light, with a flowery bouquet and less acidity than Riesling. Müller-Thurgau often carries a hint of Muscat in its flavor. The wines are best consumed while fresh and young. Dry versions are increasingly marketed under the synonym Rivaner. It is grown throughout German wine country.